Before starting the journey northward to Jackson, it was time for one last meal in New Orleans. With literally hundreds of restaurants to choose from, one might wonder how I decided on Lilette. Well, there are several compelling reasons to choose Lilette. A fine reason is a Beard award nominated chef in the form of John Harris. Another is the birdie conclusion from Blackened Out. More obvious is the rather enticing lunch menu complete with kobe burgers, duck confit, and expertly grilled fish. However, the truth is much more humble than all the previous explanations. The reason I picked Lilette is because, while scrolling through the available reservations on Open Table, I recognized the name. With that tidbit out the way, here’s what Lilette had to offer for an October lunch. 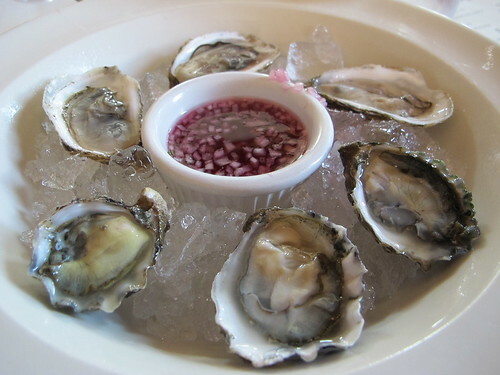 As with so many fine meals, lunch at Lilette began with a plate oysters on the half shell. However, the usual, fat Gulf oysters were nowhere to be seen on this tray. 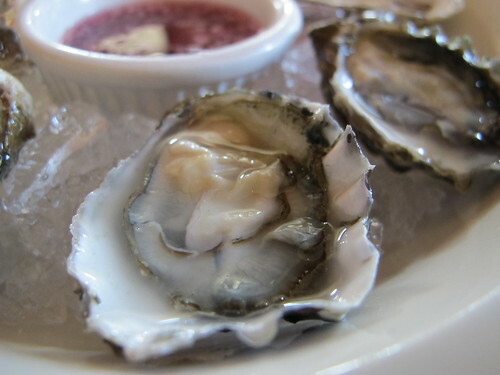 In their place were three kumamoto and three beausoleil oysters. 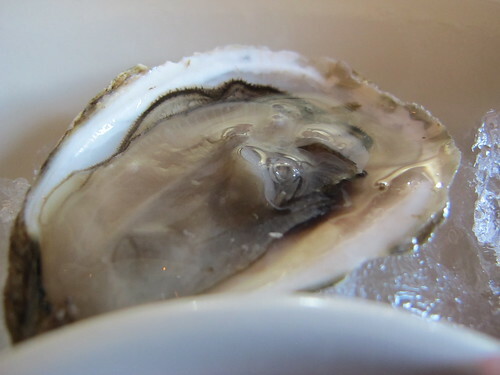 I’ve extolled the virtue of the Kumamoto oyster many times before and as expected, these bivalves were buttery with just a touch of brininess. The beausoleil oysters were a different story. Slightly larger than the Kumamotos, the beausoleil had a more upfront salinity than their Northwestern relatives. 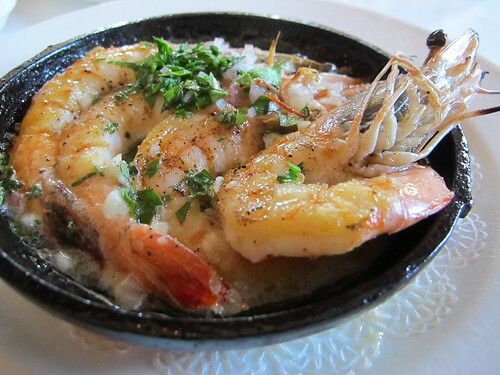 The lunch menu at Lilette may be chock full of enticing options, but one that rose above the rest was the sizzling shrimp with lemon oregano vinaigrette. True to the name, this quartet of what looked to be U-8 shrimp arrived at the table spitting and sputtering. Like the shrimp, this appetizer was full of larger than life flavors. 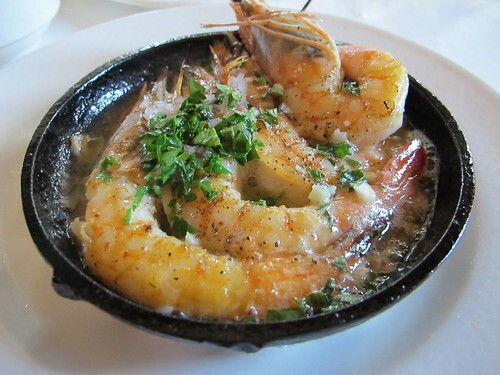 Each bite carried a wave of lemon and oregano that was followed by the delightful salinity of well-cooked shrimp. Taking the time to peel and devein shrimp but leave the head on may be a tedious task, but with this dish, it was well worth the effort. 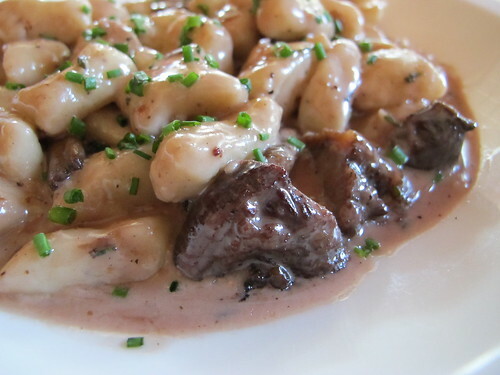 Changing gears from the light flavors of oysters and lemon soaked shrimp, it was time to delve into the world of braised veal cheeks and gnocchi. Rounding out the components of this plate was a smattering of mushrooms and rosemary; it all made for a heavy, meaty dish. I say meaty, but to be honest there wasn’t much meat to be found on this plate. What nuggets of veal cheek I did encounter were achingly tender and delightful, but they were far from the dominant portion of the dish. What did dominate the dish were a small mountain of gnocchi and a pool of rosemary cream. Contrary to what I was expecting, the rosemary didn’t overpower the rest of the dish. 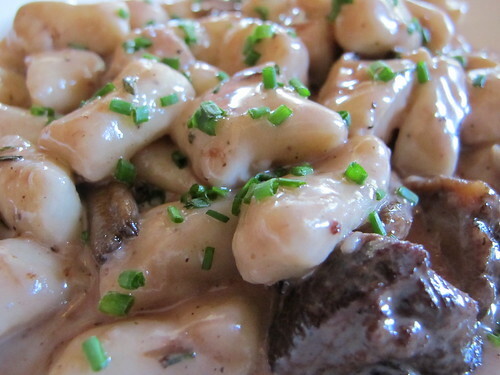 The gnocchi is what overpowered the other components. 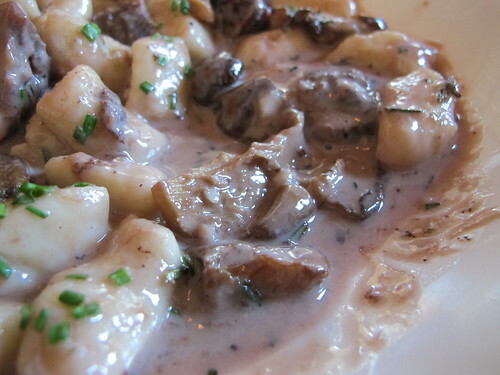 It’s hard to explain but this gnocchi had an odd texture, closer to mashed potatoes than most gnocchi I’ve encountered. 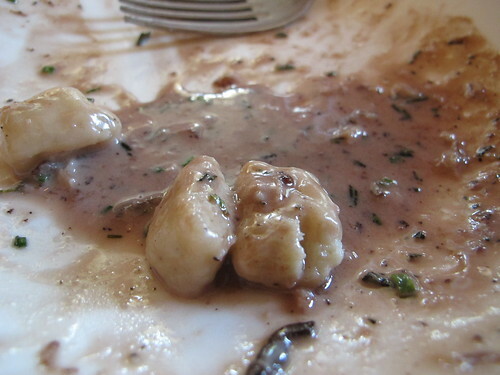 Eventually the gnocchi seemingly began to dissolve and turn the plate into a starch, gray puddle. Not the way I would have wanted my lunch entrée to end, but at least the beginning had promise. Pallid puddles aside, I’m not scratching Lilette off my list of go-to Nola restaurants, quite the contrary. There was not a single instance of grating service that Blackened Out experienced and I’ll be more than happy to pay Lilette a second or even a third visit if only for more shrimp. 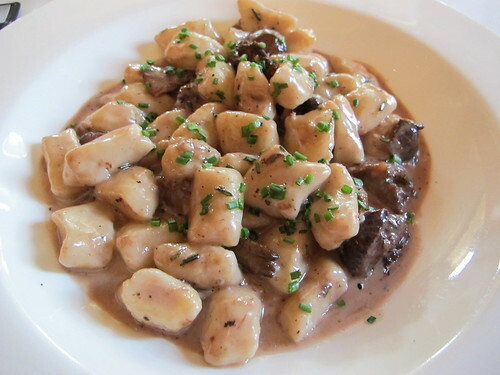 In the future, I will just be a bit wary of the gnocchi. Thankfully there are plenty of other enticing dishes to try.